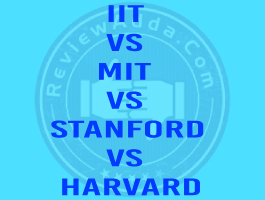 Do you want to get enrolled in B.Tech in any of the universities? But the problem is that you don’t know a tad of B.Tech Admission Process which thwarts you to place a step ahead! Although there are a lot of B.Tech Colleges that let you get admission into any stream of B tech, however, the fact is that all these colleges have different B.Tech Admission Process of their own. Many Engineering Colleges have different parameters for B. tech admission process that needs to be fulfilled by the aspiring candidates. A B.Tech Course is provided to the students in different streams such as electrical engineering; computer science, mechanical engineering etc and the student can choose their desired stream and go on for the B.Tech Admission process for that particular specialization. The ones who are looking for getting enrolled in B.Tech must know a few things before moving further. They must be in full knowledge about the complete B.Tech admission process along with its eligibility criteria, entrance exams held for this course, requirements for getting admission in B. tech and the knowledge regarding the B.Tech Entrance Examinations depending on their needs & requirements. Lucknow University is among the most well-known universities of India and is offering B.Tech Admission in a number of disciplines. You can go for the B.Tech admission process to get admission into any stream from a range of streams such as computer science, electronics &communication engineering, mechanical engineering, civil engineering etc. The usual B. Tech admission process starts at Lucknow University in the 1st week of the month of April. Candidates are required to go through the eligibility before applying for any course. Candidates who have passed 12th class with PCM are eligible to go for B.Tech Admission. However, they must obtain 60% marks in their 12 th class. Candidates should have passed their intermediate with a minimum of 60% marks. Whoever wants to go for B.Tech admission process in Lucknow University can start their enrollment process in the month of April every year. They can visit the official website of Lucknow University to apply for the course. Applicants should ensure that all the information furnished by them must be in sync with the application form prescribed by the B.Tech Admission Process of the university. Also, the information should be precise and original. Students also need to offer a valid email id or phone number in the application form. Applicants should have to pay the prescribed fee. The fee which is deposited at the registration time won’t be refunded to the candidates in any case. B.Tech aspirants going for B.Tech admission process need to pass the written test by the name of UPSEE where they need to attempt 100 multiple choice questions within 90 minutes of duration. Candidates who are shortlisted based on the merit list can take admission. They need to check the Lucknow University site for getting the regular updates. Delhi University B.Tech admission process is based on DUET (Delhi University Entrance Test). The duration of this offline entrance examination is 2 hours and it is conducted usually in the 3rd week of the month of June. A total of 40 seats are available for the shortlisted candidates. 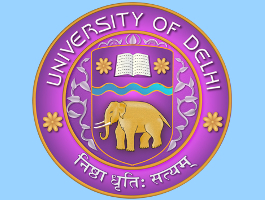 Delhi University B.Tech Admission Process online application form is available in the 3rd week in May. Candidates who are seeking B.Tech Admission Course of Delhi University need to go by the eligibility criteria set by the University. The parameters of DU’s B.Tech admission process includes minimum required marks, qualifying examination, mandatory subject, and other requirements in order to appear in the entrance examination. 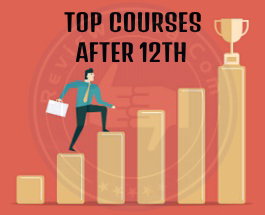 Candidates are required to pass 12th class from a recognized board and they should also require 60% aggregate marks in 4 subjects in the qualifying exam. Candidates who seek enrollment in B.Tech Course in Delhi need to fill the online application form which is available in 3rd week of May month. First of all, the candidates are required to register themselves for the entrance exam by providing their name, email id, security question, and its answer, password and then CAPTCHA. After entering these details, the candidates need to click on the button named Submit. After that login and start feeding your information in the application form such as personal details, bank details, admission mode, details related to extra-curricular activities & sports. After providing these details, click on the submit tab. Some documents have to be uploaded in your application form as per the B.Tech admission process and every student has to go by these norms. Documents such as passport size photo, scanned sign, class 10 & class 12-mark sheets’ self-attested copies, sports certificates & caste certificate if any is there with the candidates. Delhi University’s B.Tech Admission Process considers 85% weight for the written exam & 15% for an interview while shortlisting a candidate. Now they need to download the admission form or call letter. After that, they require to notify the reporting center with the admission form and the required bonafide certificates, 1 photocopy set & 3 photos for the purposes of the document verification process. Once their verification is done, they can go ahead and pay their fees online and get the admission. Christ University is a Bangalore based deemed-to-be university that is also accredited by NAAC. The University offers a seamless B.Tech admission process in various disciplines and the selection to these disciplines are possible on the basis of the students’ performance in Micro Presentation, Group Discussion, Personal Interview, Verbal Assessment & Written Assessment. The application mode of Christ University is both online and offline. Christ University’s B.Tech Admission Process demands from the candidates to pass +2 exam with 50% aggregate from any recognized board of the country or abroad. The candidates must have studied chemistry, mathematics &physics in class 12th and also have obtained 50% marks in Maths. Christ University also offers a lateral entry to the B.Tech Programme in which the candidates can get admission in the 2nd year of this Engineering Programme. Who can go for B.Tech lateral programme? The ones who must have passed a three years diploma in engineering can go for the lateral entry programme. Application form for B.Tech admission in Christ University can be obtained from the website of the University. As soon as you submit the application form, you will get the application number & the DOB along with the alternative to print your form. You need to print and sign the application form after filling further details on the printed application form. You are advised to keep a copy of the application for your future reference and you need to produce it at the time of selection process. Now candidates are required to print as well as sign the form after filling out the required details given on the application form. Candidates who meet the eligibility criteria of B.Tech admission process can appear in Micro Presentation and Group Discussion. Once the candidates have cleared their MP/GD round, then they will be considered for the written assessment, verbal assessment & personal interview. Once they clear all these rounds, then they will be considered for final counseling. Jamia Milia Islamia University offers admission to its B.Tech programmers in the 1st week of December. The offered B.Tech Programs in the university are computer science & engineering, mechanical engineering, electrical engineering, civil engineering & electronics & Communication Engineering. The candidates who seek registration for B.Tech admission should take into account the proper B.Tech admission process set by the University. The university’s B.Tech admission process considers a candidate eligible taking into account his JEE Main Scores. Shortlisted candidates should confirm their admission through the counseling of B.Tech admission. Candidates going for Jamia Milia Islamia B.Tech Admission process need to meet the set eligibility criteria by the university. Candidates should have completed JEE Main Examination after passing their 10+2 from a prominent board. Candidate should have 55% aggregate marks in Chemistry, Mathematics & Physics. Those candidates who own an engineering diploma by AICTE or any recognized board is eligible if he has passed it with 55% marks. Candidates can apply for Jamia Milia Islamia B.Tech Admission Process in the month of December. They can go for submitting their form till the month of March next year. The candidates must have passed +2 from a renowned board, with 55% marks. The subjects for the qualifying exam should be Mathematics, Physics & Chemistry. Diploma holders can also go for B.Tech admission process of JMI. However, they should be awarded by the state board of technical education or AICTE. Candidates can fetch the application form of Jamia Milia Islamia online from the month of December. The final date for filling out and submitting the form will be March 2019. In case the candidate is not able to register himself through the above mentioned B.Tech Admission Process, then he won’t be allowed to partake in the admission process. Also, all the information provided by the candidate needs to be valid and as per their original documents. In the whole B.Tech admission process, the first thing is to register for the examination. You need to register by submitting a variety of things such as your name, address, email address & mobile number. In addition to this, candidates also need to select their course. The candidates are required to fill out their application form by providing a variety of details such as communication details, academic details, and personal details. In the B.Tech admission process of JMI, the candidates need to upload scanned image in the form. The photo size should not be above 100kb and it should be in JPEG format. Once the candidates upload the images, a unique ID will be created and it will be sent to the candidate’s email id. or through a debit card. Once the payment is completed, an acknowledgment slip would be created. Jamia Milia Islamia University’s B.Tech Course has a selection procedure that confirms the candidate’s admission. Of all the B.Tech admission process, first, a cut off is made, followed by a merit list based on the performance achieved in the JEE Mains Exam. Next process is the counseling process which is for the ones who have been shortlisted on the merit list. The candidates need to report to the university and can confirm their admission once they pay the tuition fee. Centered in Kolkata, Jadavpur University was founded in 1955. This university provides B.Techprogrammes to the candidates in varied disciplines. Candidates who want to apply for B.Tech Degree Programmes of this university should follow its proper B.Tech admission process that is set by Jadavpur University. Candidates’ admission to B. tech programmes is considered depending on WBJEE score. Candidates should be of 17 years at the time of admission. Candidates should pass higher secondary school in PCM with a minimum of 45% marks. 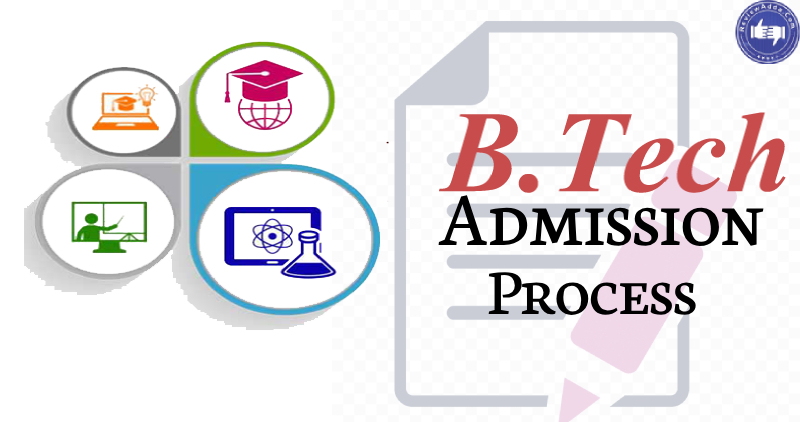 A seamless B.Tech admission process can be followed to get admission in B.Tech course of Jadavpur University. One can get admission to B.Tech courses on WEBJEE scores & counseling which are offered by faculty council of engineering & technology. Upload important documents such as Thumb & signature impression. They need to pay the application fee through net-banking, debit card, credit card & a bank challan. Selection procedure of the B.Tech admission process in Jadavpur University is based on qualifying WBJEE Exams taken by the candidates. Admit cards for entrance tests will be issued by the concerned department at least a week prior to the exam date. The candidates will have to download their admit cards from the official website. In case of any difficulty, they must contact the admissions cell to obtain a duplicate admit card ahead of the exam. In the B.Tech admission process of Jadavpur University, the department issues admit cards for the entrance exam a complete week before their exam date. The candidates need to download these admit cards from the website. In the events of any problem, they need to contact the admission center to get a duplicate to admit card before the exam. Punjab technical University usually offers registrations for its B.Techprogrammes in the 2nd week of the month of May. Candidates who want to register by following the B.Tech admission process of this university must go by the eligibility criteria of the university. Punjab University lets the candidates enroll into their B.Techprogrammes on the basis o JEE main ranks. 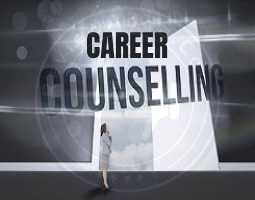 Candidates need to pay the prescribed counseling fee and then they can register for their selected courses. 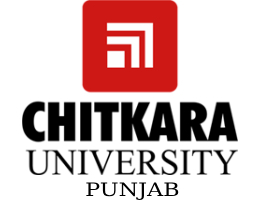 Eligibility criteria of Punjab Technical University according to the B.Tech admission process of the university is mandatory to meet to get admission in a B.Tech course. Candidates must seek admission in B.Techprogramme must have qualified JEE Main Exam. The candidates must have passed HSC from a board. Punjab University offers B.Tech application forms in the 1st week of June. Candidates who are looking for getting admission into this course is required to fill out the form and submit it. They also need to pay the application fee for this course. Candidates who are looking to fill their application form need to register themselves by filling out their names, father’s names, email id, date of birth and mobile number. Once the candidates register themselves, they need to submit a one-time password they have received. Candidates can pay their application fee through online or offline mode. Once the candidates pay the fee, they need to provide the required details in the application form. They need to go by the B.Tech admission process by using their fee receipt number & the password. Candidates need to submit academic details, personal details & other vital information. Punjab University releases the rank list of the candidates in June month and candidates can check their rank by referring to this rank list. Punjab University’s B.Tech Admission Process includes a counseling session that starts in the month of May every year. Candidates need to register themselves after submitting the roll number of their JEE Main Exam once they pay the prescribed counseling fee. The result containing the seat allotment will be announced on the basis of the chosen subject and ranking of the candidate. well, there are many placement drives that happen,most of the student now aim at a higher salary expecting atleast 4lk as minimum package and thats where the gap between expectation and reality comes.